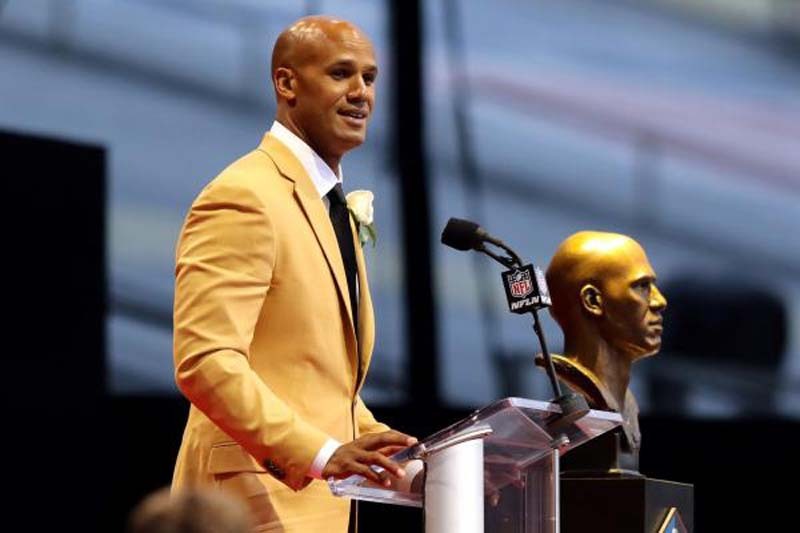 Miami Dolphins legend Jason Taylor is known for helping to revolutionize the NFL, but he is lesser known as one of football's most charitable players. He is fine with that. Taylor and many NFL stars don't want the cameras around when they are building homes, feeding the hungry, raising money for the sick or sending underserved youth to college. But when it's not publicized, fans don't see the charity, he said. They only see the checkbook connected with multimillion-dollar salaries. "I didn't really care if people talked about it or wrote about it or if people knew," Taylor told UPI. "Quite frankly, I don't like the media coming to a lot of my charity events. Because I didn't need the attention ... sometimes you have the sponsors that need it..it's part of sponsorship and companies needing that brand awareness." J.J. Watt made headlines in 2017 for raising more than $37 million for victims of Hurricane Harvey. The Houston Texas star received praise from around the world and even the Walter Payton NFL Man of the Year Award, but he is just one of the thousands of football players giving back millions to their communities. Taylor won the Walter Payton NFL Man of the Year Award in 2007, he has spearheaded the Jason Taylor Foundation since 2004 and remains a fixture in the South Florida community. If you stuck him in a jersey on an NFL sideline this season with a different name on his back, no fan would be able to tell that the 43-year-old didn't belong there. The 6-foot-6 Taylor still looks the part and enjoys sinking his teeth into a debate over the league's best running backs and breaking down a Tom Brady performance. He finished his 15-year career in 2012, after 139.5 sacks, three All-Pro selections and six Pro Bowl nods and a Defensive Player of the Year Award. He was inducted into the Pro Football Hall of Fame in 2017. On Saturday, Taylor was in Davie, Fla., sporting a bright orange No. 99 shirt and mentoring children at Hyundai's Youth Football Camp Program. He stood in the Dolphins' practice bubble, working to spark in the youngsters his love of the game. "We need to grow the game of football," Taylor said. "We need to grow the brand of the Miami Dolphins. It's not about growing my brand. I'm done playing. But there are things that continue on. It's an opportunity for us as ambassadors to go out and bring new fans in and show the positive side of what goes on in communities and organizations." Taylor said besides the Dolphins, he loves watching Von Miller, Le'Veon Bell, Jarvis Landry and Brady. All those players dominate the playing surface, but they also give back through their charities. If you ask players in NFL locker rooms, you would be hard-pressed to find an athlete without a cause. Most of the time, those causes strike close to home -- inspired by a sick relative or a harsh upbringing, Taylor has said he grew up "pretty much homeless." That's partially what inspired him to start his foundation, which supports and creates programs to facilitate growth and empowerment in local children in need by focusing on improved healthcare, education and quality of life. The foundation has awarded nearly $6 million since its inception. "I never wanted to be 'oh, look he's doing charity events because he's on camera,'" Taylor said. "That's not what I do and that's not what so many guys in this league are like. There are so many guys in the league that do things weekly that get no notice, no notoriety. And they won't promote themselves and won't promote it on Twitter either ... because they are doing it for the right reasons." One of those guys is Kenny Stills. The Dolphins wide receiver gives away Christmas gifts, works with local police and supports Big Brothers Big Sisters of Miami. This offseason, Stills jumped in an RV and took a road trip through the South, meeting with a group advocating fair treatment for prisoners, participating in a women's march, visiting the National Civil Rights Museum and more. Stills' 10-stop trip ended in Montgomery, Ala.
Taylor said that the team's "do a little bit" when it comes to promoting players' offseason philanthropy, but once the pads get put on, everything is about football. "Awareness grows by players advertising it or promoting it, but the problem is, a lot of guys just aren't going to do it. It's just not why they do it."